Sigh, what do I write about a film like Vantha Raajavathan Varuven? Let me rephrase that. What can I write about it that doesn’t make me sound like a creaking, ancient gramophone? That was the challenge I set myself as I walked out of the theatre. It is quite a task, especially when Vantha Raajavathan Varuven feels like the end product you get when you throw Poove Unakaga and Minsara Kanna into a blender, which is funny considering that it is a remake of the Telugu film Attarintiki Daredi. (I haven’t watched the original, and right now, I am thanking my stars!) Problematic humour, objectification of women, self-indulgent dialogues -- even VRV’s flaws aren’t original; so much so, that, if I pick bits and pieces from my previous reviews it would still make absolute sense. VRV has three comedians -- VTV Ganesh, Robo Shankar, and Yogi Babu -- who play ‘whose turn is it to get thrashed for comic effect’. It is almost like they pass the baton to each other at various stages of the film. (Vandha adivanga than varuven?) And also, if you have Yogi Babu in the cast, it is mandatory that he bears the brunt of a few body-shaming jokes. I am not sure who is laughing at these jokes anymore. The film is ostensibly the story of a battle between Raghunandhan's (Nassar) anger and Nandhini’s (Ramya Krishnan) stubbornness, but the spotlight remains firmly on the hero. And with that VRV also ticks another box by wasting a bevy of powerful actors in roles that don’t deserve them. Not that it’s new, but self-referential films should be a legitimate genre, with Vandha Rajavathan Varuven being the latest addition to the list. 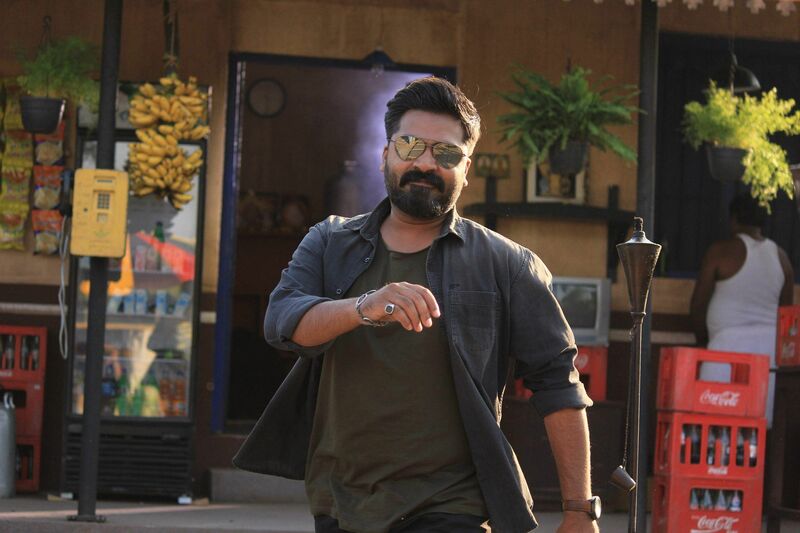 After Rajinikanth, Ajith, and Vijay, Simbu jumps on the bandwagon and does a list of things that his fans like him for. In the beginning, these jokes and references do work. But you hit saturation point pretty soon. You know his alias is named Raja so that they can use Simbu’s dialogue from Chekka Chivantha Vaanam. For the number of references, they might as well have named the film ‘Vandha reference-oda than varuven’. Or considering how Adithya seems to have wads of cash on him all the time, probably 'Vandha cash-oda than varuven’ would work as well. But I am digressing. Honestly, Simbu does try his best to present his most effervescent self on screen. He takes a fair share of the jokes on himself; brownie points for being a sport. He also gets several action sequences and belts out moves that he is known for. But none stay in your mind as you walk out, thanks to a wafer-thin script that is stuck in a done-and-dusted template. It isn’t that Sundar C can’t do better, because after all, this is the same man who gave us hits like Ullathai Allithaa and Kalakalappu. But isn’t it about time for him to step out of his comfort-zone and perhaps say, Vandha pudhu idea odathan varuven?